The salary information and description of the data collection procedures below were obtained from the federal Bureau of Labor Statistics (BLS). The BLS is a Federal government agency and everything that they publish, both in hard copy and electronically, is in the public domain, except for previously copyrighted photographs and illustrations. The Occupational Employment Statistics (OES) program conducts a semiannual mail survey designed to produce estimates of employment and wages for specific occupations. Data from self-employed persons are not collected and are not included in the estimates. The OES program produces these occupational estimates for the nation as a whole, by state, by metropolitan or nonmetropolitan area, and by industry or ownership. The OES program surveys approximately 200,000 establishments per panel (every six months), taking three years to fully collect the sample of 1.2 million establishments. To reduce respondent burden, the collection is on a three-year survey cycle that ensures that establishments are surveyed at most once every three years. The estimates for dental assistants are based on OES data collected for the reference months of May and November. The OES survey is a federal-state cooperative program between the Bureau of Labor Statistics (BLS) and State Workforce Agencies (SWAs). BLS provides the procedures and technical support, draws the sample, and produces the survey materials, while the SWAs collect the data. SWAs from all fifty states, plus the District of Columbia, Puerto Rico, Guam, and the Virgin Islands participate in the survey. Occupational employment and wage rate estimates at the national level are produced by BLS using data from the fifty states and the District of Columbia. Employers who respond to states' requests to participate in the OES survey make these estimates possible. The most recent wage data are for May 2017. The May 2017 estimates are based on responses from six semiannual panels collected over a 3-year period: May 2017, November 2016, May 2016, November 2015, May 2015, and November 2014. The OES survey covers all full-time and part-time wage and salary workers in nonfarm industries. Surveys collect data for the payroll period including the 12th day of May or November. The survey does not cover the self-employed, owners and partners in unincorporated firms, household workers, or unpaid family workers. Table 1 below provides the mean hourly and mean wage data for dental assistants by state. The Estimated Total Employment is the estimated total employment of dental assistants in that state for the reported period, and it excludes the self-employed. The Mean Hourly Wage is the average hourly wage for the report period. The Mean Annual Wage is the average annual wage for the report period. We have also included the BLS column entitled “Percent Relative Standard Error”. According to the BLS, the Relative Standard Error is a measure of the reliability of a statistic. For the purpose of this description, the smaller the relative standard error, the more precise the estimate. 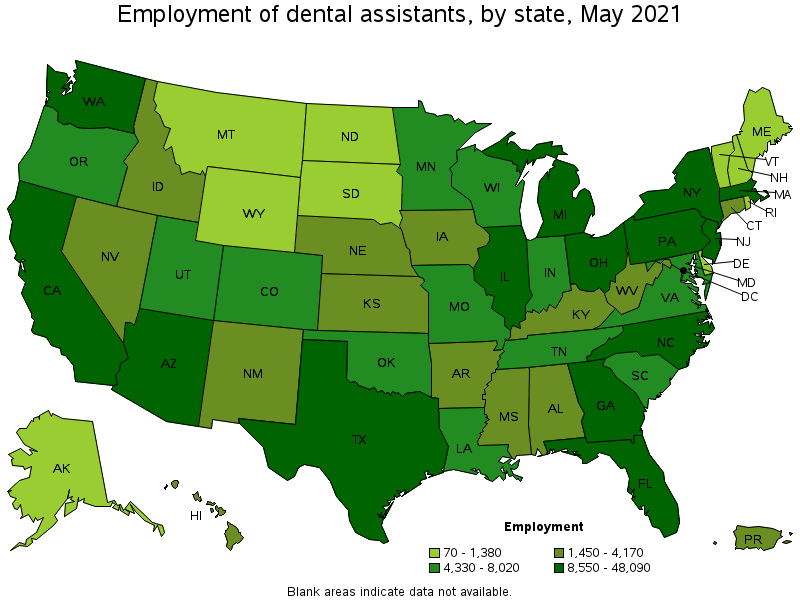 Figure 1 below provides the employment of dental assistants by state, courtesy of the BLS. 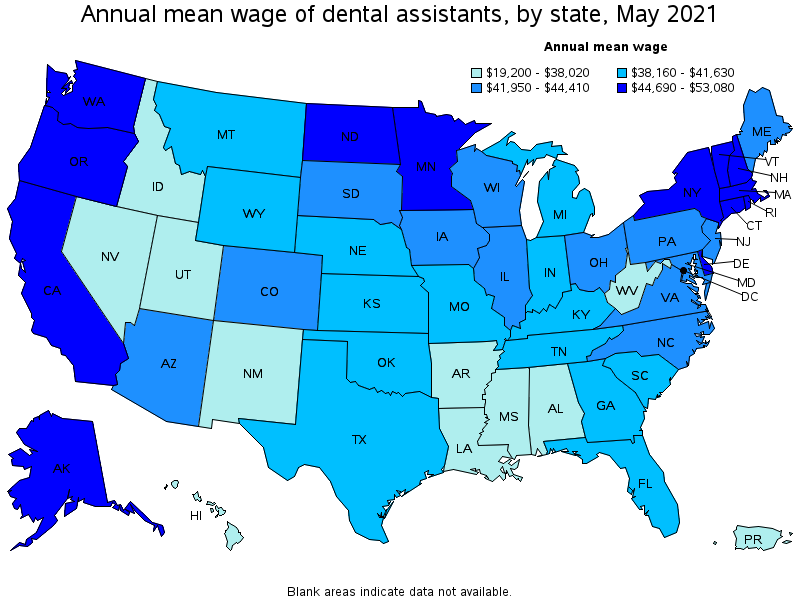 Figure 2 below provides the annual mean wage of dental assistants by state, courtesy of the BLS. More information from the BLS may be found at by going to the BLS website.